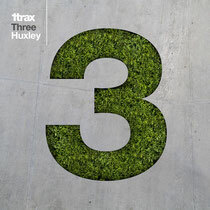 Next month see the release of Huxley’s debut mix compilation on 1trax and as taster to it, this two-track sampler gets a release as Huxley remixes tracks from Maya Jane Coles and Shenoda. Both tracks are on the compilation, which should give you good taster of what’s to come with its very deep sounding grooves. On Shenoda’s ‘Moments’, he keeps his trademark darker sounds, producing a very trippy tune that’s quite minimal in its approach. His remix of MYC’s ‘Dazed’ is where the sampler really stands out though. In complete contrast to his remix of ‘Moments’, the energy of this remix is clearly evident as he produces a faster groove, still deep in its production values, but adds in various instrumentation, playing with the track’s main vocal hook of ‘walking through this maze, my brain is in a haze, this feeling I hate, I can’t think straight.’ It’s not our usual soulful sound for a Monday, but equally, we think you’ll enjoy the feel of this track enough to help you kick-start your day. Check it out below, it’s out 6th August.